Tracee McPate is Manager, Strategic Programs and Outreach for the School of Government and International Relations at Griffith University. She works with the Head of School and staff to raise the School’s profile with stakeholders. 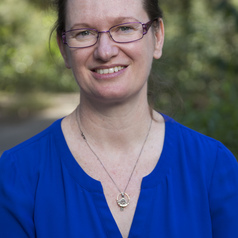 From 2008 – 2015 Tracee was Executive Officer for the Australia and New Zealand School of Government (ANZSOG) in Queensland based at Griffith University. She has been a researcher on a variety of Australian Research Council and ANZSOG-funded projects at the since 2008 on the themes of working with ministers and policy advisory capacity. Before joining ANZSOG, Tracee held a number of positions with Queensland Democrat Senators Cheryl Kernot and Andrew Bartlett, including researcher and media officer. Tracee holds a Bachelor of Arts (Humanities) and a Graduate Certificate in International Relations.